Export performance in July was fueled by strong increases in exports to the United States and the European Union, though growth in exports to China decelerated. However, a potential trade war between China and the United States could result in Taiwan being caught in the cross fire, affecting exports. Taiwan’s economy is on a moderate growth path, fueled largely by exports but also by consumer spending. Specifically, the economy grew 2.1 percent in the second quarter versus a year earlier. This included 5.0 percent growth in exports, 2.0 percent growth in consumer spending, and almost no growth in business investment. Moreover, exports grew 12.5 percent in July versus a year earlier, boding well for further expansion of GDP in the third quarter. The favorable export performance in July was fueled by strong increases in exports to the United States and the European Union. Growth in exports to China, however, decelerated. Future export performance will depend, in part, on global demand for the next generation of smartphones and other electronic devices, which in turn, will influence investment in Taiwan’s massive technology sector. While investment has lately been dormant, a rebound in tech sales could have a positive impact on investment growth in the coming year. As for domestic demand, consumer spending has grown modestly, but retail sales have lately declined. This has been attributed to a slowdown in inbound tourism from China, possibly a reflection of the fact that Taiwan elected a government last year that has more tense relations with the mainland than the previous government. One of the key issues Taiwan’s economy faces is that real, or inflation-adjusted, earnings have been stagnant for the past decade. Meanwhile, South Korea’s real earnings have increased about 30 percent in the past decade. What does this mean? There are both positive and negative consequences. On the positive side, steady wages mean improved competitiveness for the country’s exporters, especially given that productivity has expanded in the past several years, thereby reducing unit labor costs (the labor cost of producing an additional unit of output). Indeed, Taiwan’s export prowess in the important technology industry has been strong, especially at a time when South Korea has faced competitive challenges. On the other hand, stagnant real earnings mean that Taiwanese households have not seen significant increases in their purchasing power. This has held back domestic demand. However, real earnings have lately started to rebound modestly, likely owing to tightness in the job market. If this continues, it will help to boost growth of consumer spending. Yet, as long as productivity gains remain robust, wage increases will not necessarily hurt global competitiveness. There are a number of issues that pose risks to Taiwan’s economic health. First and foremost is the possibility of a slowdown in the Chinese economy. China takes in roughly a third of Taiwan’s exports. Lately, China’s central bank has tightened monetary policy, creating the potential for a slowdown in economic growth. However, any slowdown might be concentrated in China’s massive property sector. Yet, much of what Taiwan exports to China are components that are used to assemble final products for export. It is not clear if a slowdown in China will have a negative impact on this side of the economy. One thing that might hurt China’s exports, however, would be a trade war with the United States. This represents a significant risk to Taiwan. The US government is currently undergoing two processes that could result in the imposition of punitive tariffs on Chinese goods. First, the US administration is investigating whether steel imports are harming national security. A positive determination could result in new tariffs. Second, the US government is investigating the extent to which Chinese practices regarding intellectual property are harming US companies. A positive determination could result in punitive tariffs. Either action would likely invite retaliation by the Chinese government, thereby setting off a potentially damaging trade war. Taiwan would be caught in the cross fire. A longer-term risk to Taiwan stems from its demographics. The working-age population is set to decline by an annual average of 0.5 percent between now and 2020. It will then decline by an annual average of 1.0 percent from 2020 to 2025. However, due to rising participation in the labor force, the overall size of the labor force is expected to grow 0.4 percent each year between now and 2020, and then decline each year by 0.5 percent until 2025. Still, these numbers represent a considerable slowdown in the growth of the labor force compared to recent years. Absent an acceleration in productivity growth, this implies a slowdown in economic growth. On the other hand, a shortage of labor that leads to much higher labor costs could compel businesses to invest more in labor-saving technology, thereby boosting productivity growth. Despite risks, Taiwan is well positioned for the future. The unemployment rate is 3.8 percent, while the consumer price inflation rate is only 0.8 percent. Thus the central bank can be relatively relaxed about policy, leaving the currency stable. The country has a large external surplus and a high level of foreign currency reserves (about USD 444 billion). Thus it is effectively insulated from the negative consequences of a sharp drop in foreign currency earnings should there be a global economic crisis. Modest levels of government debt mean that the government can use aggressive fiscal policy, should the need arise. 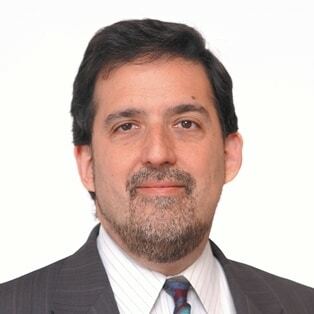 Dr. Ira Kalish is a specialist in global economic issues, and is based in Los Angeles, California. Taiwan: Export growth bodes well for GDP expansion has been added to your bookmarks. Taiwan: Export growth bodes well for GDP expansion has been removed from your bookmarks.